When the time comes for you to hang your banner, you want to make sure you have all the proper gear so you can do the job the first time and do it right. 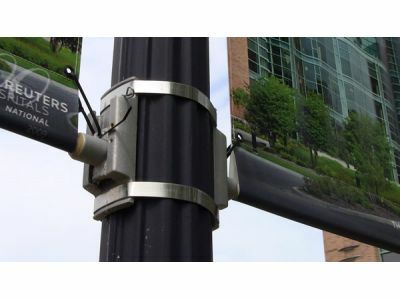 With a banding tool, tool-applied banding roll, and tool-applied banding buckles, you can ensure that your banner bracket hardware has the strong foundation it needs in the face of high wind conditions. If you try to do your banding by hand instead of using the proper tools, you risk not tightening the banding enough, which could lead to less than favorable results. We provide instructions with pictures so that you can read and see how to properly install your equipment. Make sure to pay attention to important details such as going around twice with the bracket banding, as double banding develops more compression than single banding, giving your setup a great hold. The banding tool we sell and recommend gives an easy-to-use way for you to install banding and brackets and can be reused again and again. With over 20 years in the banner industry, BannerFlex has the experience and quality products that you can trust to help you learn and install the proper banner brackets and banding equipment. 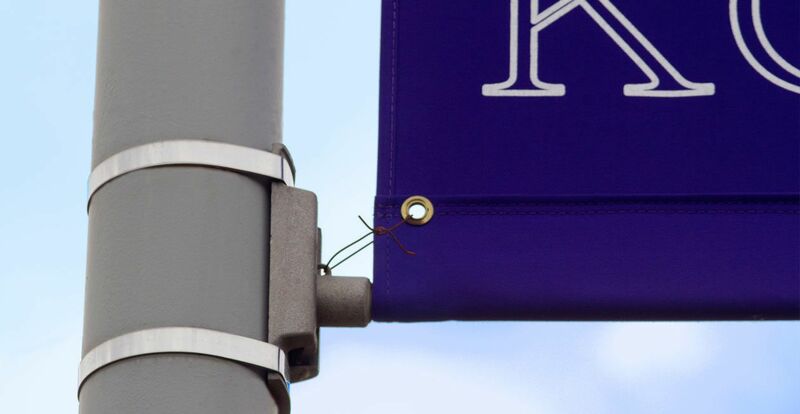 Our guidebook can help you through the steps and teach you everything you need to know about hanging the right banner. With products and processes that have been founded based on feedback over the years, BannerFlex has what you need. With a team always on-hand, you can get started with your own banner installation today!